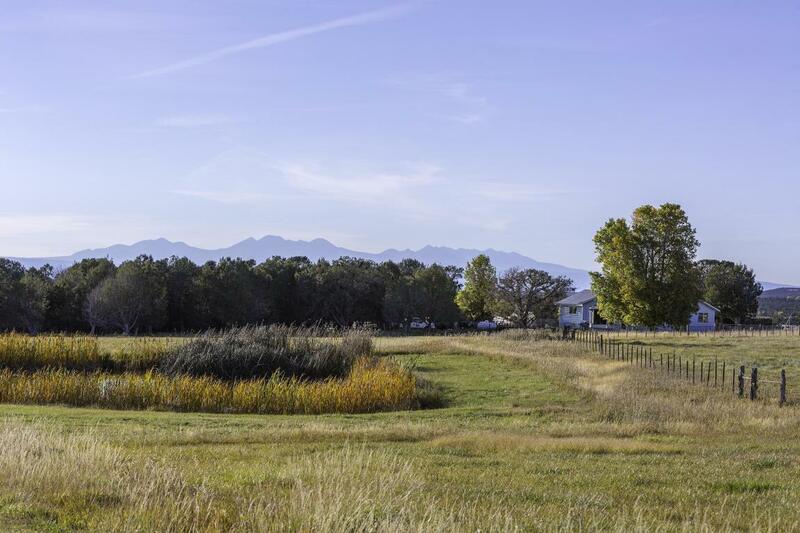 Horse/cattle ranch with amazing views & exceptional water rights.39.23 acres total, with 30 acres in irrigated hayfield/pasture. Annual yield of 35-40 tons grass mixture hay. 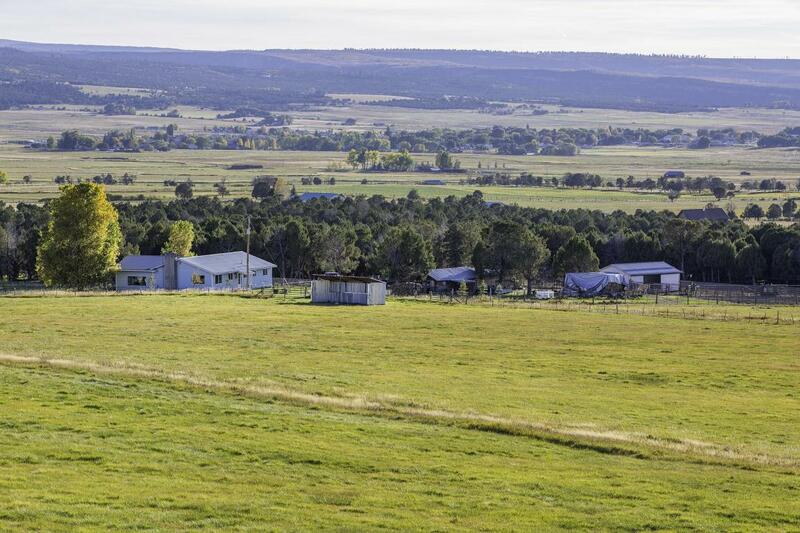 Deeded spring (.25cfs) supplies year-round water for livestock in 2 cross-fenced pastures. 2 ponds on property. Permitted well water for yard and garden, NWC tap for household use, round out the included water rights. 1980 sq.ft., 3 BR remodeled ranch house. Large kitchen & dining area with reclaimed pine wood floors. Family room bay window frames Lone Cone Peak. Telluride peaks to La Salles views. Newer, high efficiency gas furnace & on-demand hot water heater. Dry-stack fireplace with insert in living room. Outbuildings include large storage shed/shop with power & attached 2 stall equipment shed, 5-stall barn withwater & power, large chicken coop with power, small greenhouse. Metal roofing on all structures. Sand arena ready to rope in, with roping chute & return alley. Welded pipe fence at arena & barn and pen fences. Great garden space & all day sun. Perfect for the horse/cattle, rodeo, 4-H family or anyone wanting a little space to raise a family. Owner is offering a $20,000 allowance to add a 2nd bathroom! 18 shares Farmers Water available for purchase, at $5500/share.